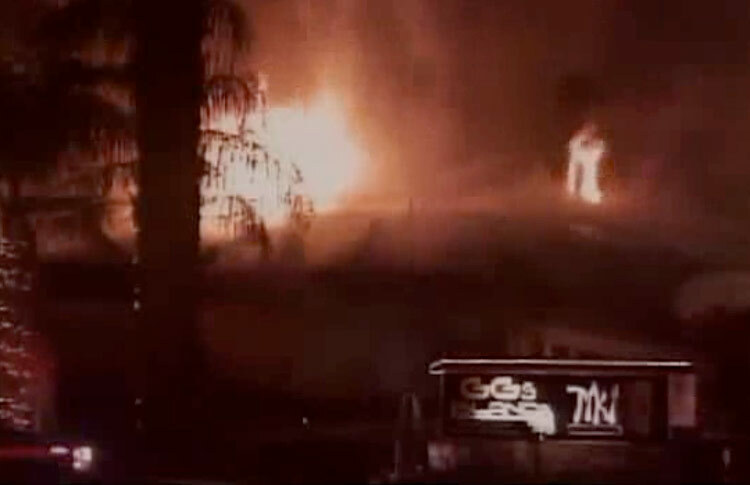 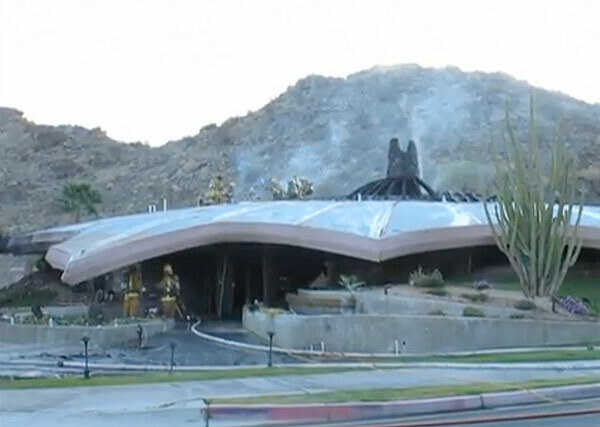 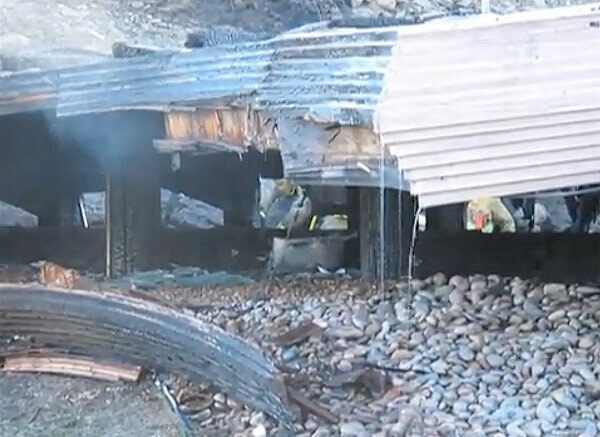 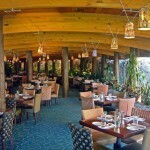 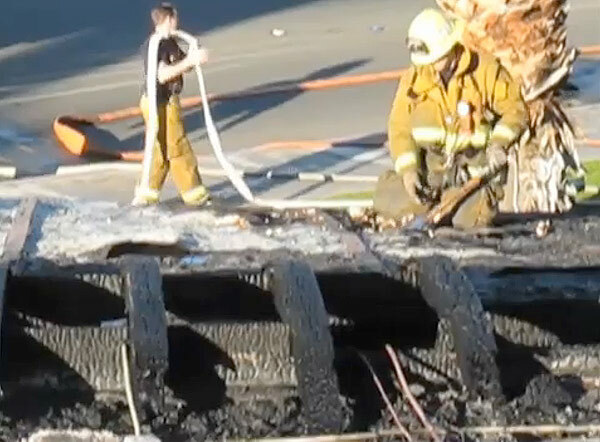 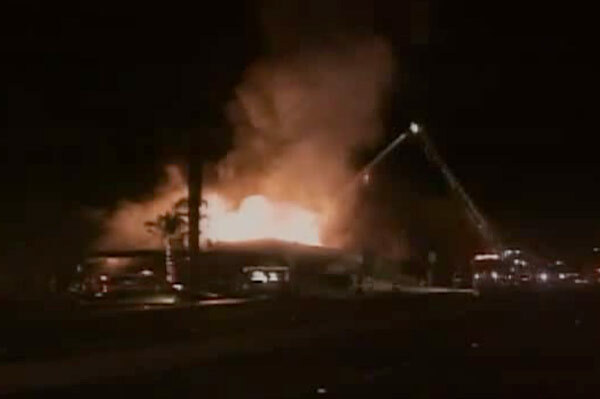 Southern California critic Alan Hess tells us more about Ken Kellogg’s GG’s Island Restaurant (formerly the Chart House), which was ravaged by fire on Tuesday morning. 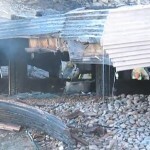 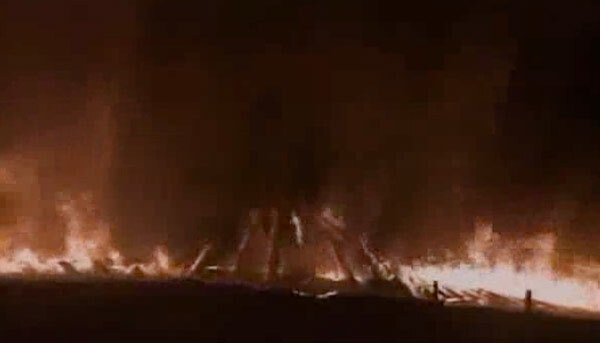 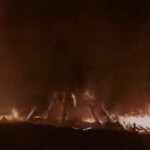 The extent of the damage and the potential for repair have not yet been determined. 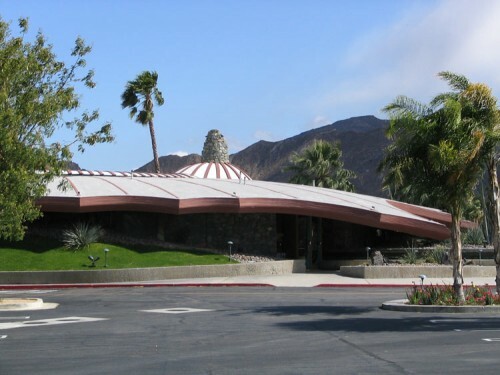 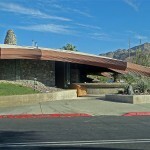 Palm Springs may be best known for sleek steel and glass Modern architecture, but the 1978 Chart House by San Diego architect Ken Kellogg (one of a series he designed for the restaurant chain) makes it impossible to ignore the fact that Organic Modernism is just as much a part of the Coachella Valley heritage. 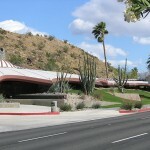 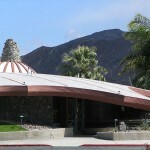 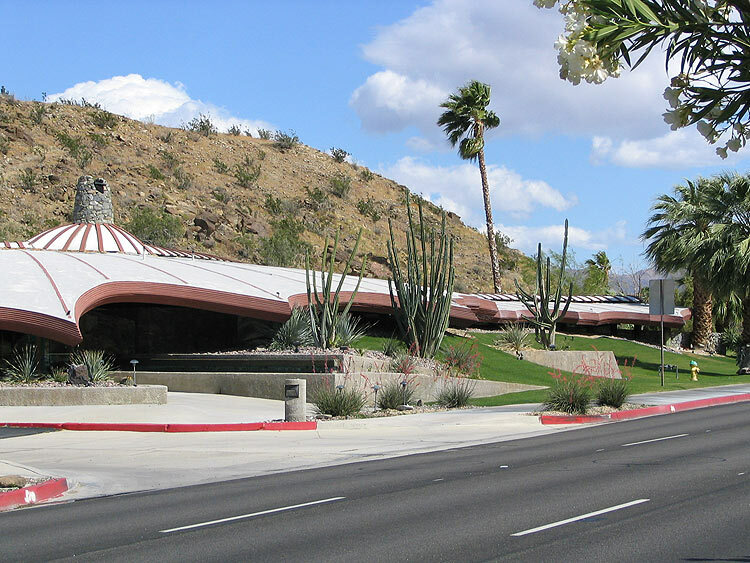 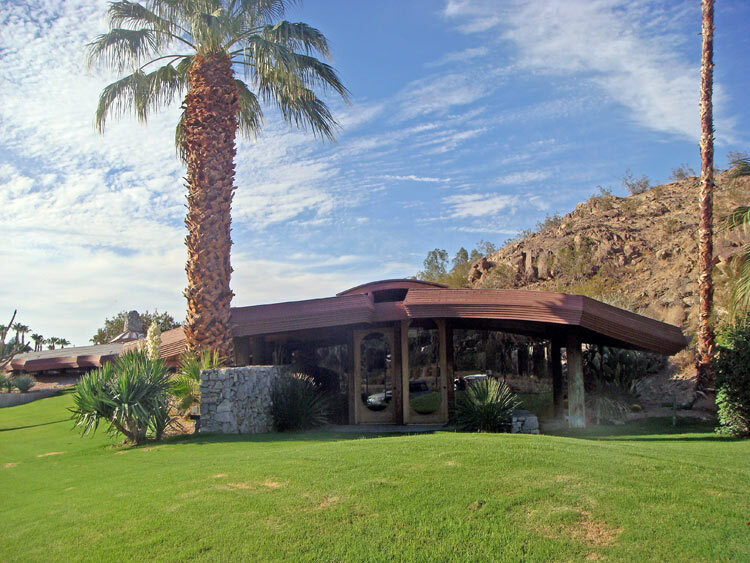 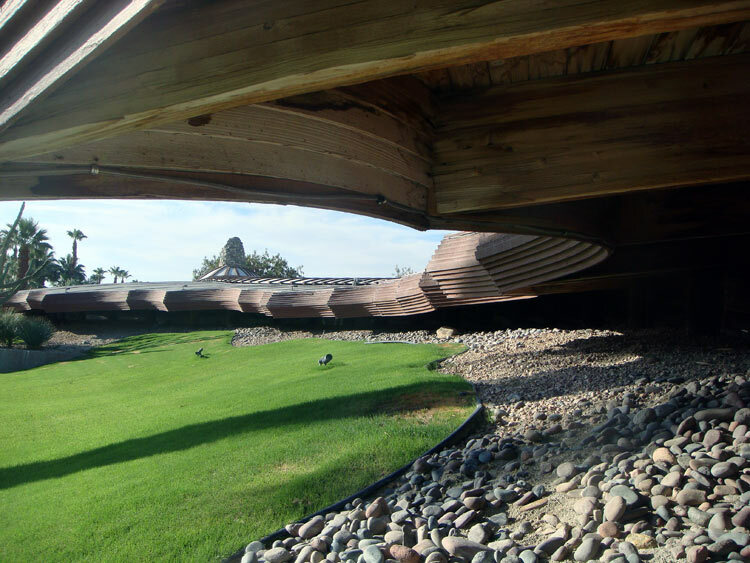 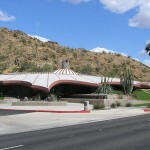 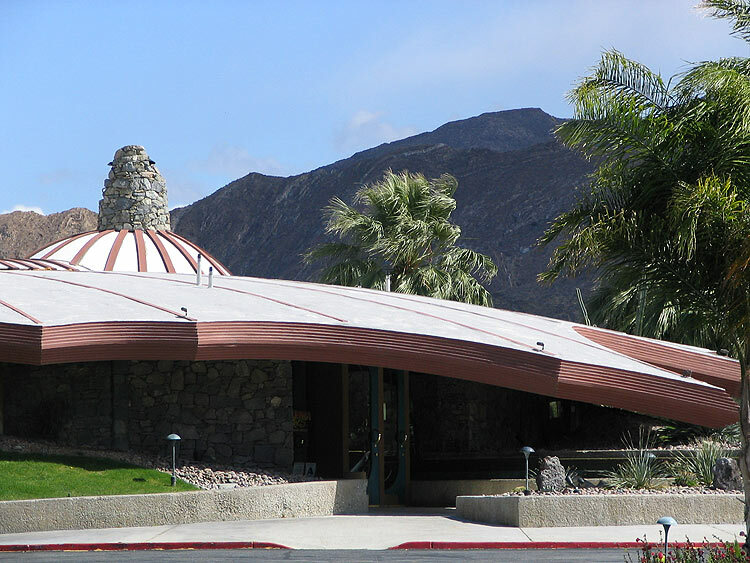 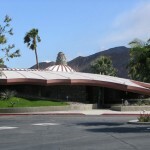 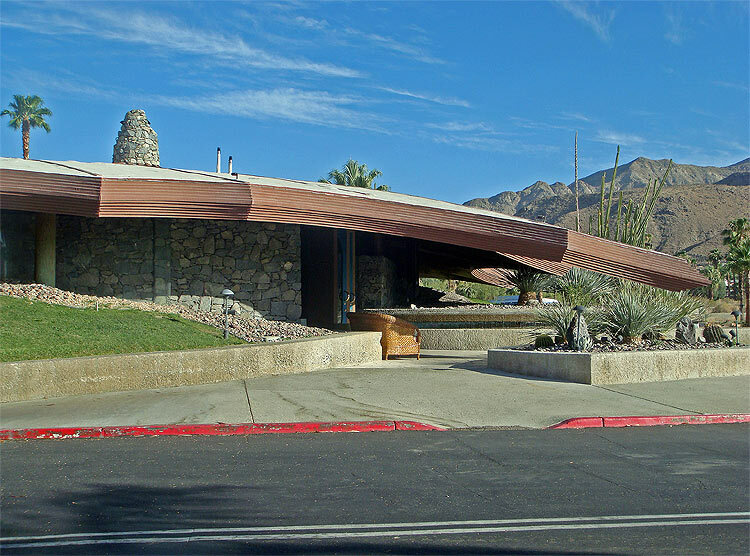 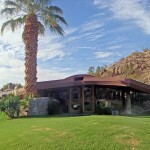 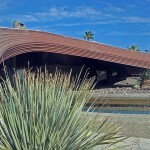 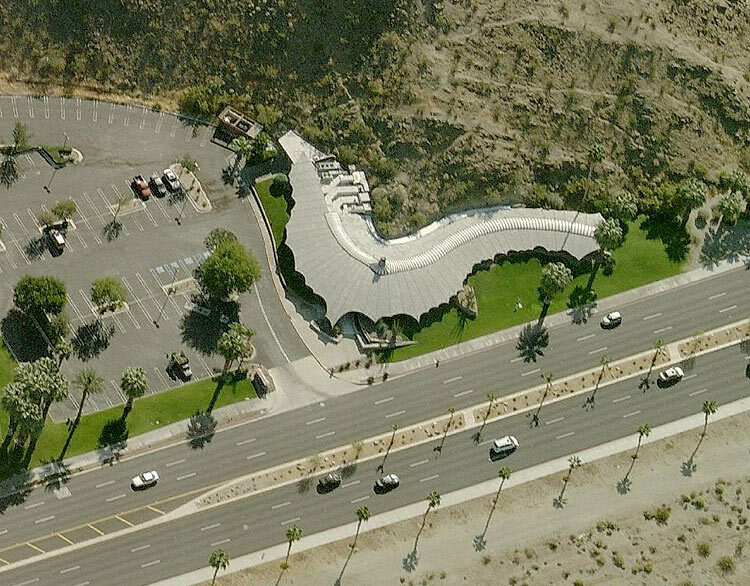 Set along Highway 111 in Rancho Mirage, Chart House’s low-slung, serpentine shape hugs the contours of a small, rocky butte. 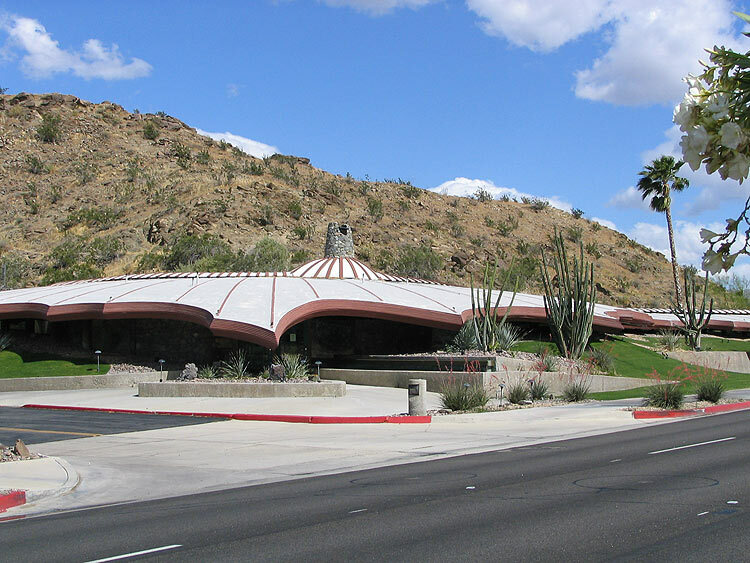 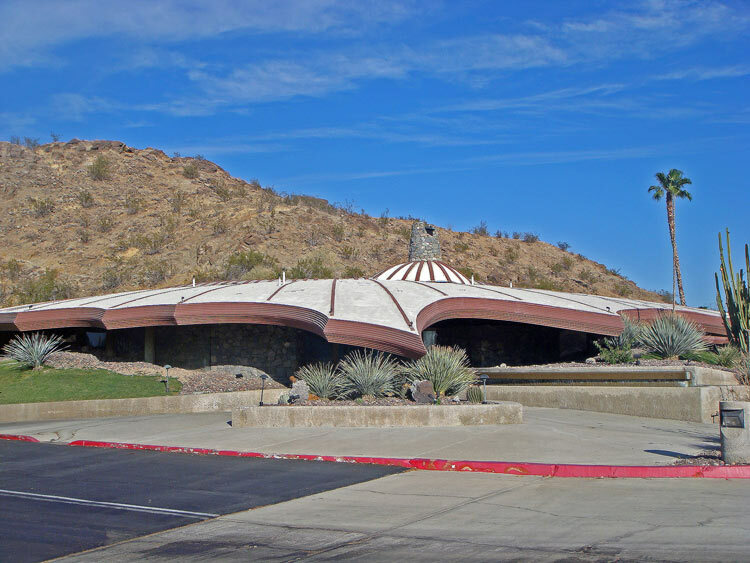 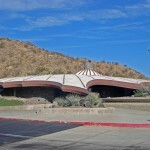 Outside, it’s the image of protective desert shelter: the taut vaulted roof stretches down, like the fabric of an umbrella or the shell of a crab, almost to touch the landscape berms rising to meet it. 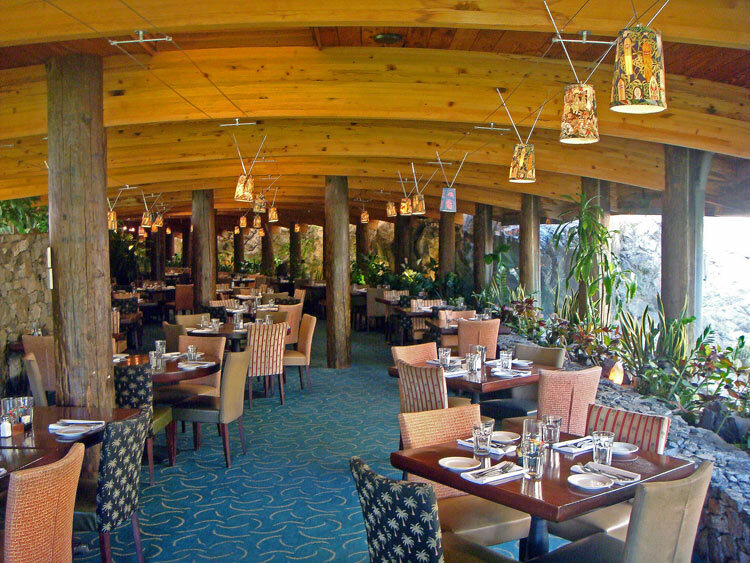 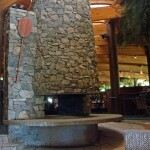 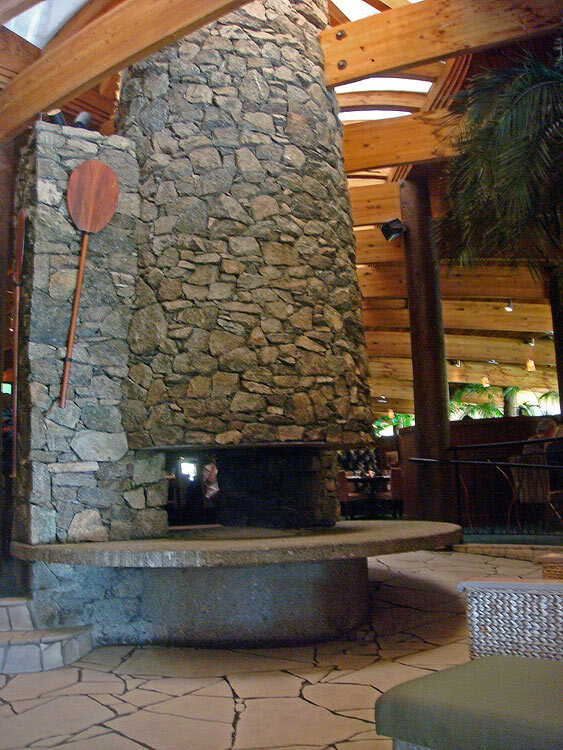 Inside, however, the heavy timber columns, curving glu-lam roof ribs, and rubble stone walls wind their way through the restaurant like a well-designed forest. 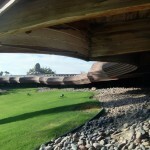 They create layers of space, naturally lighted by a skylight curving along the spine, with an appealing complexity. 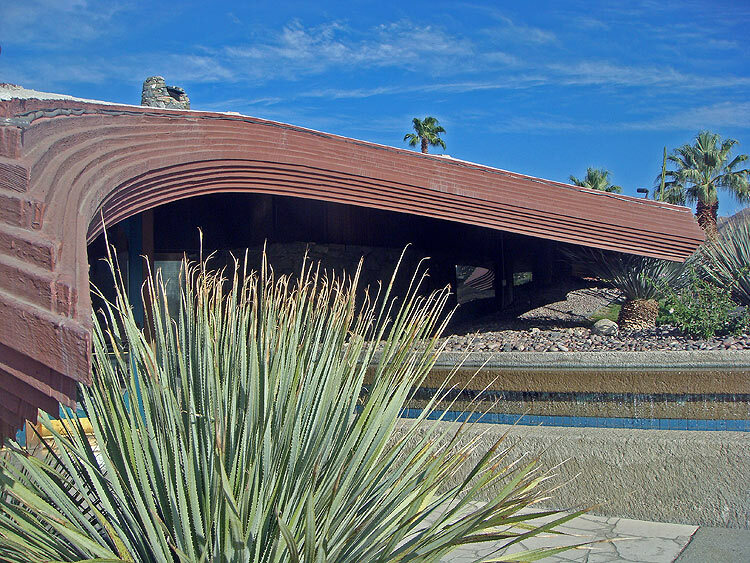 Kellogg’s fifty-five year career, including residences, churches, and commercial and institutional buildings, continues to show the vitality of organic design.